Why did I get one of mine back? Thanks for hosting this swap. Can't wait to receive my flies. From the pictures posted I am looking forward to using them this year. Lastly good work by all the fellow swappers. 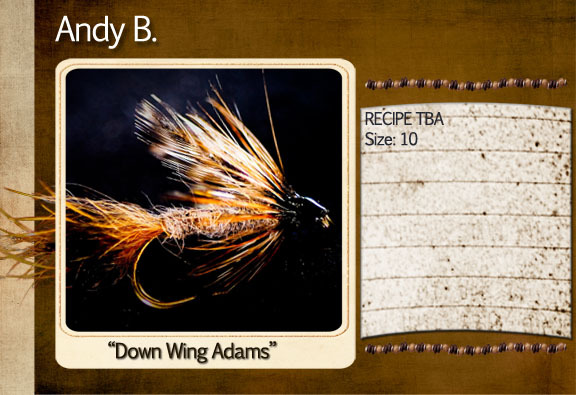 This pattern can be tied in multiple colors to represent most mayflys with the exception of the Drakes. 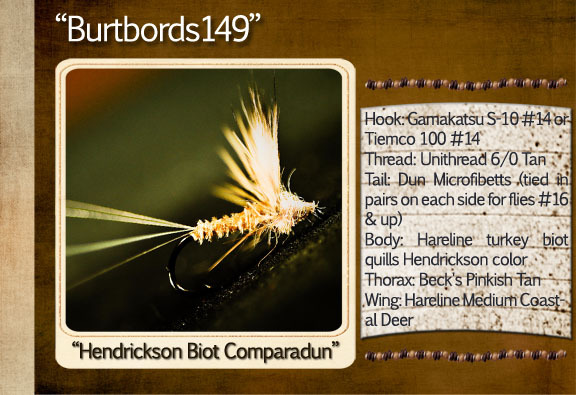 If I were to substitute the TMC 2488 hook for a 2xl hook I am sure it would work also. The first time I fished this variation was two years ago I belive. 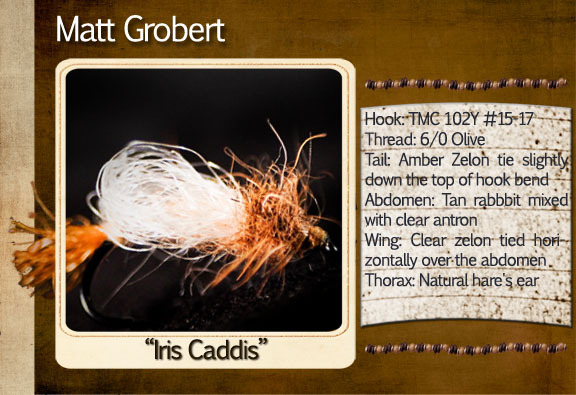 I decided to attend the Theodore Gordon Fly tying show just to see Matt Grobert tie flys. 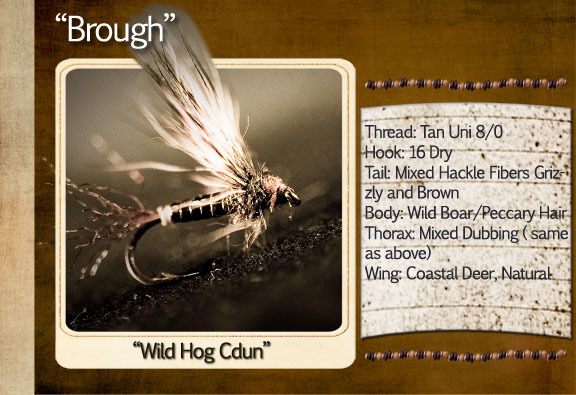 Matt was kind enough to agree to tiea very special fly for me "the night pusher" a classic George Harvey pattern. So I was more excited about getting to see matt tie then fish. That morning and afternoon I managed to try out this very pattern. 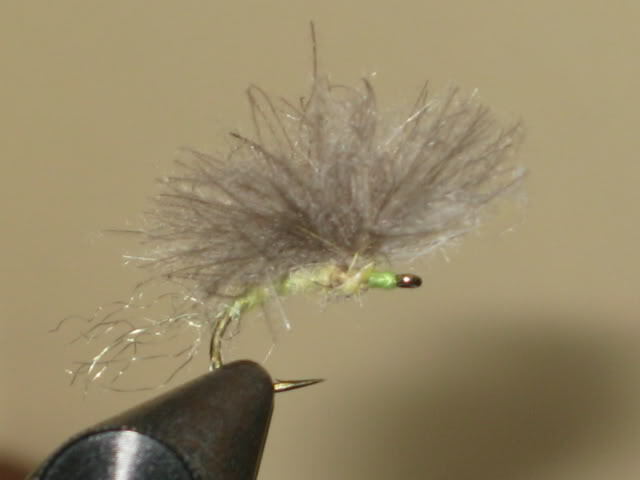 I had tremendous success with this pattern so much so that I lost all of the 13 flies to fish. Three fish managed to get me into my backing that day something that had only happened to me once before while fishing for trout on the big horn and hasnt happened since then. Of the three fish only one of which I landed. 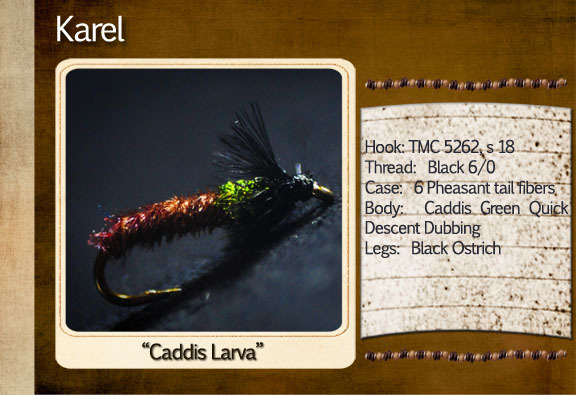 Since that day I have had continued success fishing this fly when the cornutas are hatching. 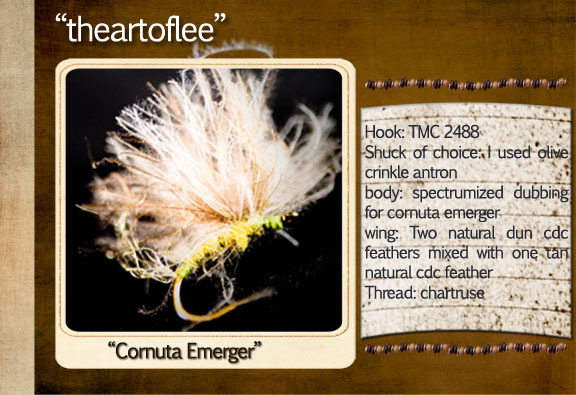 Alot of the time anglers mistake the cornutas for sulphurs. An interesting thing about cournutas is the color change that they go through. They are chartreuse (in my opinion) something Ralph and I always argue about. However the bug will change color and darken after it has emerged. Eventually they will be a dark olive..
Two key to this flys success is that I use chartruse thread and VERY sparsely dub the body. I also think mixing CDC colors for the wing is key. 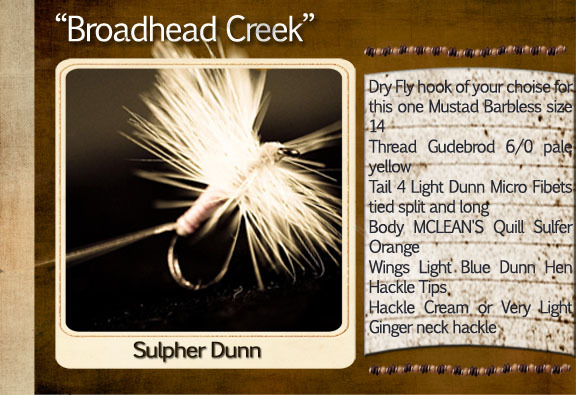 I like to use about two natural dun cdc feathers give or take... not puffs combined with half a natural tan cdc feathers. Bkill, thanks for hosting the swap, I am sure it took up a lot of your time. See you on the water! Just wanted to say, what a great looking bunch of flies I received today! I can't wait to use these things. Thanks alot guys! Here's my "artistic" take on your artwork (keeping in mind that I don't have an artist degree). You may lovem, you may hate them. Some are better than others. I got a little tired and slacked off at some point. "TBA" = To be announced. Once I receive the recipies, I'll apply them to the images. 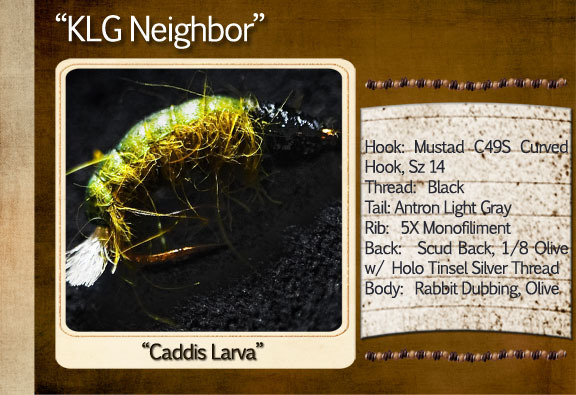 First thanks BKill for hosting the swap you did a great job I got my flies today. Second, Dennis awesome looking photos and description, you're a talented man. Excellent Job Dennis!!!! Thank You! I will pick up my flies this AM on the way in. Thanks again BKill! I like to fish these in the film. Because of the small size and dark colour it is necessary to swirl them behind a larger dry fly. something like this. How many of you all fish with the flies you receive in swaps? I know some like to keep them safe and some like to use them. I will answer last. oops the pattern posted for the indicator will not match all of the flies. i mixed the materials a bit. 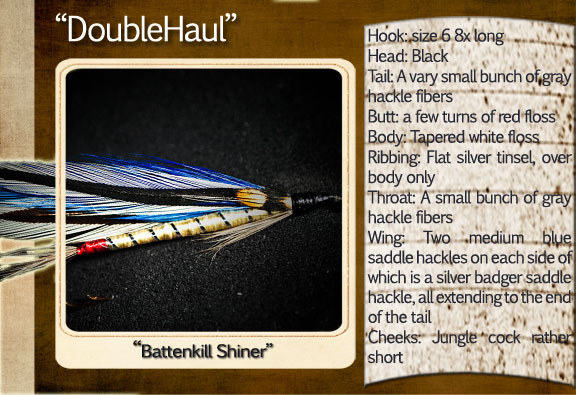 for the most part it was the tails, some got mixed hackle some got mixed z-lon, some got.... ? Thank You again to all the tyers,BKill,and Dennis. Recieved my fly's today what a great swap each and every fly is beautifully tied can't wait to give them a go!! You guy's all put alot of time and effort into these top notch!! Thank You again bkill for hosting this swap well done! !Here is the material list for mine. I received my flies last night. Great job by everyone and thanks to Bkill for hosting.